70% Swiss-German, 20% French, 6% Italian, 1% Romansch. The rest are languages spoken by foreigners. Half of the Swiss living in cities can speak enough English to help tourists. At school a second national language is taught. Switzerland is a federal republic with a direct democracy located in the centre of Europe. It consists of 26 cantons. The population has reached 8 million of which 20% are foreigners. 3 main languages are spoken: German, French and Italian. The two major international cities are Zurich and Geneva. 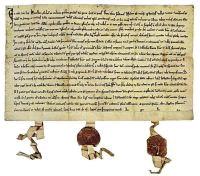 The oldest surviving written document is the one of the alliance between Uri, Schwyz and Unterwalden, the founding cantons of the Old Swiss Confederacy. It is possible that it was written a few decades later then 1291, the founding year. Folk hero and Swiss legend, who contributed to the foundation of the Old Swiss Confederacy, but with no historical evidence. Tell and his son received death penalty as they did not bow to the lord. Tell could redeem their lives by shooting an apple off the head of his son from a long distance in a single attempt. Tell made it and is since known as being a great crossbow sniper. Switzerland belonged to the most industrialized countries after having copied the spinning machine from the English. Women workers had no time to cook and infant mortality was high. Nestle's baby milk and Maggi instant soups were the response from the new food industry. French-speaking Jura concentrated on clock-making. The need of dyes for the textile industry lay at the basis of today's chemical industry. 1798, the French conquered Switzerland and imposed a new unified constitution. This centralized government was unpopular by the Swiss. 1803 Napoleon had organized a meeting of the leading French and Swiss politicians resulting in an Act of Mediation which largely restored Swiss autonomy. Inspired by the American example the Swiss constitution provides for a central authority while leaving the cantons and boroughs the right to self-government on local issues. 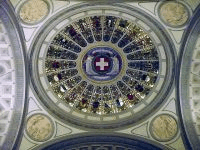 For centuries, people who were persecuted for religious or political reasons sought protection in Switzerland. The reason for this lies not only in Switzerland’s geographical position, but just as much in the political, religious and cultural diversity of the country. More than 60 000 km of signposted and well-maintained hiking paths make Switzerland unique. The Swiss like going to the mountains with high tech gear at weekends and on holidays. Armed neutrality : not participating in international conflicts, but frequently involved in armed peace-building processes around the world. How’s Life? Geneva and Zurich are both in the Top Ten charts of cities with the highest quality of life in the world. Switzerland belongs to world's richest countries and therefore offers great infrastructure, political freedom and health care. Many Nobel prizes are in Swiss hands and the 3 highly dotted Universities (ETH Zurich, EPF Lausanne and HSG St. Gallen) and CERN, the world largest particle physics laboratory. In the past, when Switzerland was a poor country and anything else but neutral young men often served as soldiers abroad. They had a reputation for discipline and loyalty with revolutionary battle tactics. They were considered the most powerful troops in the 15th century. Switzerland was not invaded during either of the world wars . During WW2 the famed military strategy was to protect the economic heartland instead of the boarders. 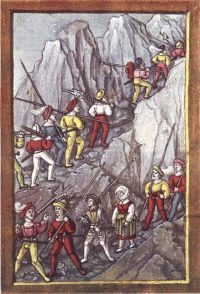 The army was concentrated in the Alps known as the Reduit. German language dominates the Swiss literature scene. French, italian and Romansch literature is less prominent. Nineteenth century authors were : Jeremias Gotthelf, who wrote about peasant life, Gottfried Keller was a poet and novelist followed by Conrad Ferdinand Meyer. Johanna Spyri’s wrote famous children stories such as Heidi (see separate content-tab). Twentieth century authors are Friedrich Dürrenmatt & Max Frisch. A canton rich of traditions and the stronghold of ideological Switzerland. The hills are reflected in their NAIVE MALEREI (woodpainting). Appenzell was the last canton to introduce the vote for women. At present local topics are still voted on Sundays on the market place by raising hands. Home to the Appenzeller cheese and the snack Biberli. Hiking or biking tours, refreshing swim in the rivers or Hallwilersee, relaxing spa with hot springs, inspiring visits to museums. Origin of the carrot cake is Aargau. Home of the chemical and pharmaceutical companies. Basel is cosmopolitain boarding with France and Germany..Basel hosts the Rheinharbour and famous museums. The local speciality is the Läckerli biscuit. Capital city with the house of parliament. The famous Bärengraben (with real bears) is the symbol of the city and on the canton coat of arms. Its politics have the reputation of being slow just as the driving on the road. Home to the famous mountains Eiger, Mönch and Jungfrau. Cosmopolitan city and turnpoint for international affairs. Home of the red cross, UN European headquarter, and many other international organisations: WHO, WTO, UNO, CERN, IAO, ISO, ITU, WIPO, WMO, WOSM, WTO, UNHCR. 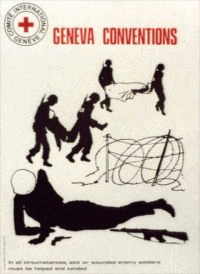 Geneva has a long history of humanity providing asylum to religious minorities and political refugees. The underground particle physics laboratory CERN is the world’s biggest research centre and can be visited. Best known for their cows, horses and the famous cheese fondue. A bilingual city on the french and Swiss German language borders. The largest canton with the jet set villages of St Moritz and Davos.. Davos is known for the world economic forum. A Mountain paradise and the largest Swiss National park. 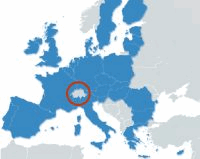 The 4th Swiss language Romansch is spoken there. French speaking canton boarding with France. One commune (named Ederswiler) however speaks German. Jura is famous for horse breeding and horse riding holidays. The cheese Tête de Moine which is scrapped of the bloc in produced in Jura. Located in the centre of Switzerland boarding the alps and midlands. The famous wooden bridge, the Kappelbrücke and the Lion Monument are the cities landmark. A tourist destination par excellence situated on the shore of Lake Lucerne within sight of Mount Pilatus, Rigi and the Swiss Alps. The geographic centre of Switzerland with deep blue lakes, scenic mountains and moorland. Fantastic for sports and for bon vivant. Holiday paradise Engelberg offers you a wonderful unspoiled countryside and an impressive mountain backdrop. Unterwalden now Ob- and Nidwalden was one of the three founding cantons of the Old Swiss Confederacy. Unterwalden was one of the three foundinf cantons of the Old Swiss Confederacy. Unterwalden was split into two separate territories: Obwalden and Nidwalden.. The geographic centre of Switzerland is in Obwalden. Europe's biggest water fall is the Rheinfall. A colourful town with an fortification overlooking the area named Munot. During WWII the canton was bombed by allied pilots, who missed the German target. An inscription from the 14th century on the tower of the city gates says: "Open your eyes silly you" and is often quoted. The core of Switzerland, as one of the founding cantons of Switzerland in 1291. Maybe the most patriotic canton as it won the legendary battle at Morgarten to free itself from the Habsburg lordship. Eleven is Solothurn's holy number. This number is omnipresent in the city. There are 11 museums, fountains, chapels and churches, and even a clock with a dial that only shows 11 hours. Solothurn is the Swiss baroque town with architectural features from the era of the Ambassadors of the French royal house, and is though known as the "City of the Ambassadors"
The Abbey Library in St. Gallen is part of the Unesco world heritage. The University of St.Gallen, a think tank of world renown is where quantum physics started. The cathedral represents a character of modern architecture. The sunniest corner of Switzerland with mountains, lakes and chestnut forests providing for a Italian holiday feel. Thurgovia offers you 1‘000 km of hiking and bicycle routes leading through magnificent landscapes and ancient villages. In culinary terms the area is a treasure trove offering a rich selection of locally grown fruits such as apples covering one third of the Swiss supply. Bottleneck to the Gotthard tunnel under the Swiss Alps. One of the three founding cantons. Home to the Tell myth and the devil’s bridge. Great place for hiking. The Matterhorn is the most photographed mountain in the world and integrated in Top Switzerland’ logo. Valais has 41 mountains of over 4000m, more the half of the highest mountains in the Alps. Lots of sun and the only area to grow tasty apricots. C’est la vie! That’s life! Wine lovers have their grapevines along the hills of the Lake Geneva - a UNESCO heritage landscape with panoramic view on the French alps. Center of commodity trade for many international companies. A small, wealthy and nice canton with a lot of lakes and hills to swim and bike. The desert specialty is the Kirschtorte, a cake with cherry liqueur. Global city with the Financial centre Paradeplatz, the luxury shopping street Bahnhofstrasse, opera house and lake promenade. Zürich is the largest city in Switzerland. Originally belonged to the Holy Roman Empire and later Prussia ruled the area until 1848. It offers an astonishing diversity of charming landscapes within a relatively restricted area. Neuchâtel is the canton with the highest concentration of watchmakers in Switzerland and is also the pole for micro technology and nanotechnology. The speciality is the mythic green liquorice-flavoured spirit Absinth. Swiss folklore music is played with alphorn, Schwyzerörgeli (a type of accordion) and the singing is yodeling. The Hackbrett (hammered dulcimer) and the Trümpi (Jew's Harp) are traditional Swiss folk music instruments. At present many known festivals are hosted, such as Montreux Jazz and Lucerne Festival. Women were first granted the right to vote in 1959, then at federal level in 1971 and finally only in 1990 in the canton of Appenzell. The core of international humanitarian law that regulates the conduct of armed conflict and seeks to limit its effects. Its aim is to protect people who are not taking part in the hostilities (civilians, health workers and aid workers) and those who are no longer participating in the hostilities, such as wounded and sick soldiers and prisoners of war. 8 million of citizens (equal to the city of London). Politicians are currently discussing to reduce immigration as the country starts to get overbuilt. One third of Switzerland’s surface consists of mountains. The mountains cover more then one third of the territory. About 100 Swiss mountain peaks are close to or higher than 4000 metres, most of them are located in the Valais. Between 1850 and 1970 alpine glaciers lost at least one third of their surface. Glaciers are the origin of most of the major Swiss rivers, including the Rhone. One quarter of the Swiss population is a member of a sports club. While winter sports are enjoyed throughout the country, football and ice hockey remain the most popular sports. World sport’s champions are tennis players Roger Federer and Martina Hingis, ice skater StéphaneLambiel, the sailing team Alinghi, cyclist Fabian Cancellara, kickboxer Andy Hug, down hill skiers Bernhard Russi, Pirmin Zurbriggen and Didier Cuche. Many companies use the Swiss flag to mention their products are Swiss Made. The latest political debate is that 60% of manufacturing value must be done in Switzerland, which means Swiss Made will only mean assembled in Switzerland. Founded in 1816 with its first mission during the WW1. Repatriation of over 80’000 wounded soldiers to their home countries. Further activities included helping against the Spanish flu epidemic in 1918. The Swiss love cheese and eat 21 kg / year and person. Surprisingly the most eaten cheese is the Italian Mozzarella followed by the Swiss cheeses Gruyère, Raclette-cheese and the Emmentaler with its famous holes. The young men go through 3 months training, participate in short follow-up courses every second year. The Swiss army isn't a drill. Until recently soldiers kept their rifle at home including the ammunition. Due to current homicides with army rifles, they are now stored in the casern but can be kept after termination of the military service. The army has not been at war since 1815. After a Swiss tasted chocolate on an Italian market he was the first to open a factory to manufacture it in solid brick shape. Soon after a Swiss candle maker made it smoother by adding milk to it. The milk chocolate is in deed a Swiss invention. Tolerant towards all religions Switzerland was the centre of an international media hype when passing a vote against building of minarets. Two thirds of the population are Christian. Sects are tolerated. Swiss love animals and pets but hundred years ago our biggest predators were wiped out. Recently they made a comeback. The lynx was reintegrated, the wolf came from Italy and France and since 2005 the bear crossed our borders too. But in 2013 a bear got shot again since he went too close to villages. Surprisingly one third of the Swiss territory is woodland. 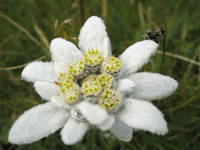 Edelweiss and gentian are the two best known Alpine flowers. 56% hydroelectricity and 39% nuclear power, resulting in a nearly CO2-free electricity network. 5 nuclear plants, which are getting close to their end of life are in the political focus. Swiss citizen belong to the richest in the world but in contradiction we also the world champion in having debts. In an average every Swiss has EUR 75000.- debts but since its 90% related to mortgages the situation is stable due to the market value of the estate. Diplomacy is Swiss tradition. Relations to almost all countries are maintained. Switzerland is known for mediation in the role as a neutral intermediary and also hosted many major international treaty conferences. Like a clock movement the Swiss value being precise, detailed and on time. Swiss are known to be reserved and polite towards others. That’s a reason politicians and celebrities don't need bodyguards. Swiss don't just walk up to celebrities and only a few dare ask for a dedication. The Swiss watch industry started in Geneva in the 16th century. Jean Calvin reformation banned the wear of jewels forcing the goldsmiths to turn to a new craft: watchmaking. The mass production of watches began at the turn of the 20th century. Today Switzerland has over 500 Brands. Switzerland has one of the best developed transportation network world wide. The mission of public transport (trains and busses) is to reach out to every village, regardless how isolated it is. Most chemical manufacturers are located in Basel such as Novartis and Roche. Roche promised to save the world from the bird and swine flu and billions of profit. Any major impact to the Swiss law goes through public voting. Most bills pass tightly after having been widely discussed in media and promoted through public speeches and advertising. Church reformation was lead by Huldrych Zwingli and Jean Calvin after the German reformation by Martin Luther. It had a certain independence and was more radical with strict doctrines, which prohibited all kind of jewellery and musical instruments. The Swiss love cows and their milk many famous cheeses are produced. The tradition of cow fighting championships is held every spring before going to the alps. Did you know that cows fart methane gas and could fill daily a 400 L bottle? Methane gas is 20x more harmful to global warming than CO2. Heidi is a fiction novel of the life of a young girl in her grandfather's care in the Swiss Alps. A worldwide bestseller and a highlight of Swiss literature. It has become a brand which the biggest Swiss retailer use for a line of grocery food. In 2010 a German book was discovered with a similar plot dating further back and questioning the origin of the story. The Swiss took a long time to warm up to the idea, with three-quarters of voters rejecting membership in 1986. Previously the Swiss were holding a observing role and hosting the European headquarters in Geneva. The Swiss army monitored the ceasefire between North and South Korea before joining the UN. Switzerland and the EU relationship is framed by a series of bilateral treaties whereby the Swiss Confederation has adopted various provisions of European Union law in order to participate in the Union's single market. Recently only 10% of the population would still favour joining the EU. The International Olympic Committee, the International Basketball Federation, UEFA and FIFA, the United Nations Human Rights Council, WHO all have their headquarters in Switzerland. See Canton Geneva for more. Each Canton has its own constitution on culture, education, taxation, judiciary, police, civil engineering, environmental protection, homeland security, law enforcement, which forms its characteristics. The exaggerated perceived differentiation of identity towards the Swiss constitution is said to hinder the fast move of political and economic growth and change. Banking began in the eighteenth century by merchant Wegelin & Co. Swiss neutrality, national sovereignty and its stable currency have long been recognized by foreign investors. At present Swiss banks employ approximately 103’000 persons abroad. 1st of August is the official national holiday since 1891. 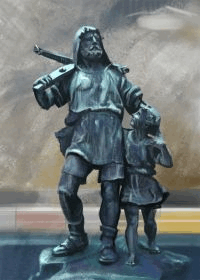 The date is inspired by the Federal Charter of 1291 which took place in early August . The date replaced the formerly more prominent and traditional date of 8th November commerating the Rütlischwur - the legendary oath of the Old Swiss Confederacy. Well-known painters and sculptors of the 19th and 20th century are Albert Anker, Ferdinand Hodler, Alberto Giacometti and Jean Tinguely known for his crazy machines made from discarded metal. The Swiss culture is an amalgamate of German, French, Italian and Rhetroman culture. The vast range of dialects is a further characteristic. Swiss architecture offers more than just scenic mountain chalets and charming farmhouses. Famous skyscrapers have recently been built abroad. Remarkable from past times are the opulent Romanesque cathedrals (Geneva, Basel), Gothic churches (Zurich, Lausanne) and the Baroque Church in Lucerne.